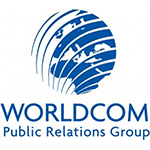 Worldcom Public Relations Group has added AF Communicacion (Dominican Republic), JNL+ (Greece), KGBTexas Communications (San Antonio) and Tabua Digital (Portugal) to its roster of member agencies. AF Communicacion works with clients in industries including wholesale, retail, education, finance, nonprofit organizations, technology, healthcare and pharmaceutical. JNL+ was established in 1941 by a woman, Fota Leoussis, and is the oldest communication agency in Greece. KGBTexas Communications is one of the largest woman-owned, full-service firms in Texas. Tábua Digital is a PR and digital marketing agency. 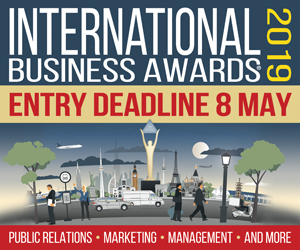 “We’re constantly striving to add partners who not only help maximize our geographic presence but bring expertise and skills that reflect our industry today and where it’s headed in the coming years,” said Worldcom managing director Todd Lynch. BrandLinkDC has rebranded as The Brand Guild. The agency says that the rebrand will allow it to offer new creative services to clients, with the creative department working along the agency’s public relations, marketing and events departments. 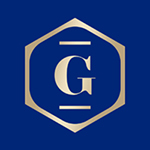 “We connected with the definition of ‘guild’ as an association of people for pursuit of a common goal,” said Jayne Sandman, who co-founded the agency in 2010 with Barbara Martin. Amanda Markmann has been named the agency’s vice president of creative. She comes to BrandLinkDC from DC-based PR and communications firm Adfero, where she was creative director. Leading The Brand Guild’s New York office is director of strategy Sarah Lawson, who previously headed up the Most Creative People and Most Innovative Companies communities for Fast Company. Dallas-based Idea Grove has come up with an interactive quiz meant to show any company how it can move ahead in the PR game by employing the right tactics. Growing out of ideas that were initially being considered for the agency’s blog, “Punching Up” was initially drafted as an ebook. But the agency changed gears in response to what Idea Grove director of content marketing Jarrett Rush saw as an increase in the traction that video and interactive content were getting as opposed to text-based content. The resulting quiz incorporates video animations based on the 8-bit look of such retro games as Super Mario Bros. and Mega Man. Players answer a series of question about PR tactics, and the game’s characters (some of them based on agency employees) respond. The 8-bit look continues on the landing page where the quiz lives and in short 15- to 20-second videos used in social media. To take the quiz, click here.